March 16th, 2016. A day we could remember for several different reasons thanks to the Nike innovation summit. In what can go down only as one of the biggest days of the year for Nike, the American brand unveiled the new Mercurial Superfly V, a self-lacing sneaker, and some interesting tech that all soft ground cleat lovers will enjoy: Anti-Clog. My belief is that the biggest innovation for soccer was the introduction of Anti-Clog technology. I’m sure you are thinking, “What is this guy talking about?? There’s a new Superfly coming out!” But there will be another cleat that blows our mind next year as well, but the Anti-Clog tech will be here for a long time. So what is the new Anti-Clog tech? To break it down, it is basically a new SG-Pro stud pattern that will not allow mud or dirt to stick on it in wet weather. 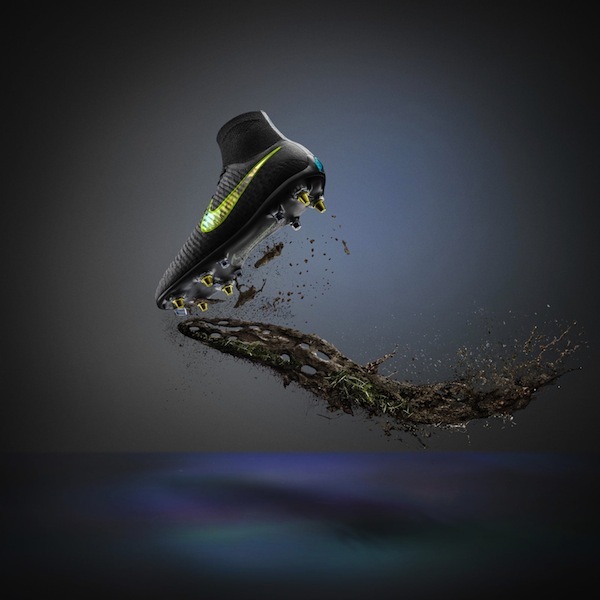 The system eliminates any area that mud can build up and stick on the cleat by being a flatter surface on the sole of the shoe. Now onto the real fun. 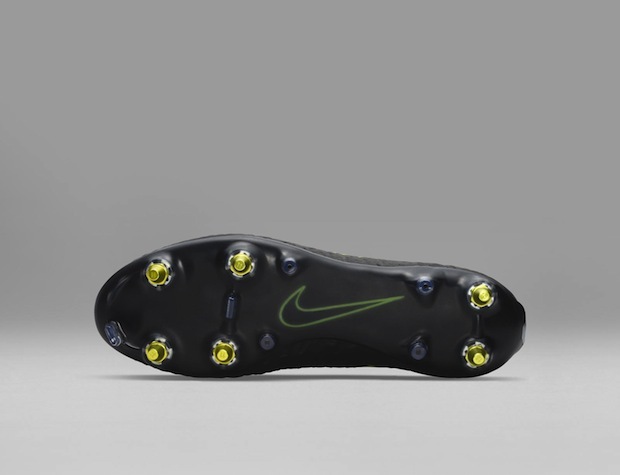 The tech will use the water on the sole to create a barrier that blocks mud from sticking on the cleat, thus creating the chance to always have good traction in bad conditions. The tech essentially uses the water that normally you would want to propel, into a natural lubricant to keep the mud off. The water and soleplate, which has an adaptive polymer, create the lubricious layer that will create the layer between the soleplate and mud. The adaptive polymer only activates when exposed to water, exactly when you need it. In the video below, the athletes testing the boots say that it’s “impossible” to not have your cleats clog up with mud. Then the Nike team proved him and all of us wrong by introducing the tech. In the video, you can see how much better the Anti-Clog works compared to the standard SG-Pro soleplates. Nike may have pushed themselves above and beyond with this release. The SG game will never be the same. The tech announcement came as something of a shock to all cleat nerds out there as it will change the way we think of traction in wet weather. When will this tech come standard on all the Nike high-end cleats? 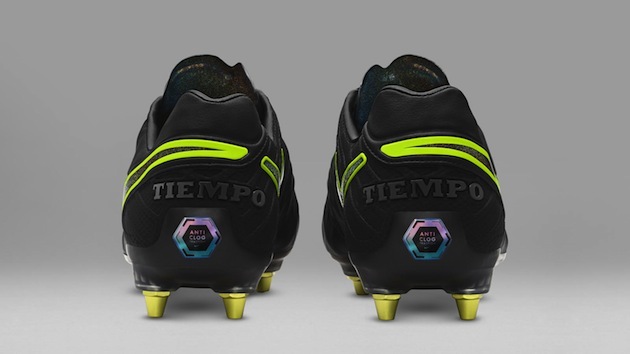 Good question, Nike did not really specify when they would implement this tech on the boots all the time, but a limited edition Hypervenom Phantom, Tiempo Legend, and Magista Obra will be released on April 15th via the Nike Football App. The limited editions will feature a mainly black upper with bright volt Nike Swoosh accents and some reflective materials and of course the Anti-Clog tech. A special Anti-Clog hexagonal logo on the heel lets you know that these are the real deal. 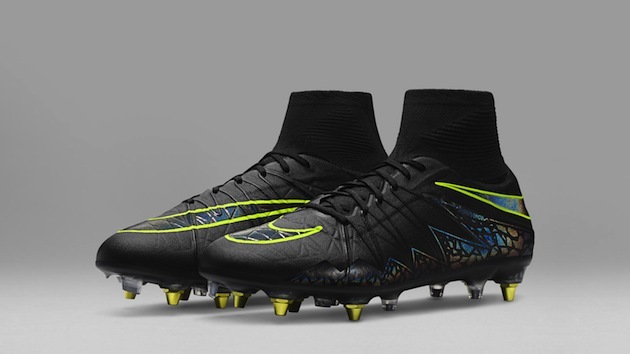 Expect the Superfly V to be the first boot to feature this soleplate as a standard SG option. A few questions remain in my mind about the Anti-Clog system. Will the technology wear off over time or is the polymer strong enough to withstand a season or two of wear and tear? 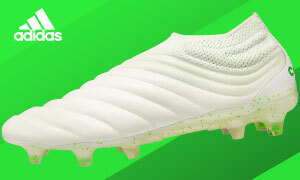 Will the Anti-Clog system come at a premium price on top of the standard SG-Pro stud patterns, or will this take the place of the standard SG studs? Lastly, when can I get my hands on this new tech? My son was wearing his Nike cleats with anti clog technology in a tournament this weekend, and the ref disallowed them for safety reasons. Has anyone else run across this? 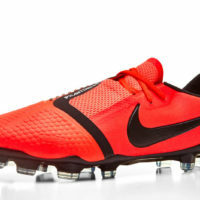 And is there something from Fifa specifically addresses these cleats?